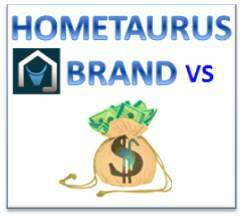 Hometaurus dilemma on what is the priority: real estate brand or business? 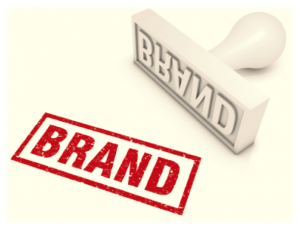 To brand or not to brand? This is the question. What is more important for business: branding through creating sustainability, reputation and customer experience or simply concentrate on making a buck? In this article we will explore this dilemma for Hometaurus and how we handle this issue company-wide. We had to get to the core of our business and explore the company culture, how we work as a team and the value that we provide to our customers. How do we operate our business? What is the value that we create for our customer? How can we improve and advance as a company growing real estate brand? Hometaurus.com is the real estate brand that continuously innovates real estate space by moving majority of operation to the web. Here you can find information about real estate agents, homes for sale, homes for rent, foreclosure listing, new constructions and pre-construction, information about the neighborhood, house appraisals and historical sales. Visitors of Hometaurus.com can search listings for free on their desktop computers, and various mobile devices, get the information and connect with the real estate agent. The website is easy to navigate and provides up-to-date information on current market trends that make potential customers come back for new information. At the same time, Hometaurus.com is the platform for real estate brokers and real estate agents to promote property listings using management tools and CRM system offered by the website for its members. Real estate professionals can generate quality leads from the online traffic of potential customers interested in buying, selling, renting properties. Hometaurus is the real estate brand and the marketplace where potential customers connect with real estate agents during the search for their dream home. – How to help real estate agents connect with potential home buyers easily? Hometaurus technical team works hard on building the best customer experience on the web and to make Hometaurus.com the best go-to source for real estate buyers and sellers. In turn, the increased popularity and reliability of the website creates new business and better closing rates. More customers visit the site while looking for properties for sale. More real estate agents are creating real estate listings at the Hometaurus online marker place. More transactions become leads, and more customers move into their new homes. Our satisfied clients often tell us about their experience using website, the simplicity of searching for properties, the time saving because all the necessary information landed in one place. Hometaurus real estate brand is: we are holding our customers by the hand, from start to finish, to deliver the best user experience. This is what customers value in our services.And this brings us new business. A reputable website, happy customers and positive user experiences naturally bring valuable referrals and confidence that the best service is for all the visitors. The Hometaurus executive management team represented by a group of inspiring individuals, eager to invest in people development, team building, and company culture. We provide hands-on training for real estate agents and mentorship program that helps them become the best experts in the industry. We are proud to invest in real estate professionals because they will be dealing firmly with customers and provide them the best experience in finding and buying their homes. We are always thinking about the next step, next feature to enhance the user experience, future product or service. Recently the new service Gansoo was added as part of Hometaurus.com enhancing real estate brand. It is the service used by real estate agents or website visitors to find contractors or any home service in your area including plumbers, locksmith, painters, title companies, architects, etc. It is the service used by real estate agents or website visitors to find contractors or any home service in your area including plumbers, locksmith, painters, title companies, architects, etc. It is a popular feature that helps customers find local contractors to fix the roof, clean the property, improve landscaping. The best thing is that contractors appear on the same website where the property sells. There is no need to search the web, and it is a great time saver. So Brand or Business? At the end of our meeting, we concluded that one cannot exist without another. If there is no brand – there is no business if there is no business – the name is not generating income to grow, and there is something wrong with that label. At Hometaurus.com we strive to create an experience that makes our customers happy with transactions and keeps them coming back, referring their friends and telling their story. Business follows and cash flows. “To Brand!! !” – the answer to the question that we posted at the beginning of this discussion about Hometaurus real estate brand and business. Visit Hometaurus real estate brand and marketplace, explore the website, see tools and information that sets us apart from other real estate websites and why happy customers keep coming back.